Poke Salad Granny: Cooper told, "This ain't no Hurricane Katrina"
"Anderson, you get in this house this very minute and quit tip-toeing out there, worried about those rain puddles, little Cooper you just get so fired up over everything." Little Anderson Cooper, around here he's just known as "Coop," because well, we all know bout those chickens he chased through my yard, trying to concoct some story to entertain his little friends. He just keeps on entertaining. But when he was little it was hard to sort out which were tales and which were tales that were true, cause that child he sure liked to act and act up. I guess that's why he wanted to be a journalist. So I told him, those puddles out there by my porch here in Cloutierville, they don't mean nothin' to no one. The rain around here ain't been no Hurricane Katrina. 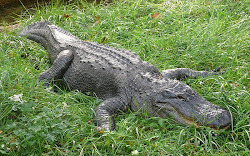 And there aren't going to be a whole slew of alligators comin' on this property, with the big one here to protect this house. But I thanked him for thinkin' bout me, sure enough, lookin' after his Granny like he seems to want to do with everyone else. 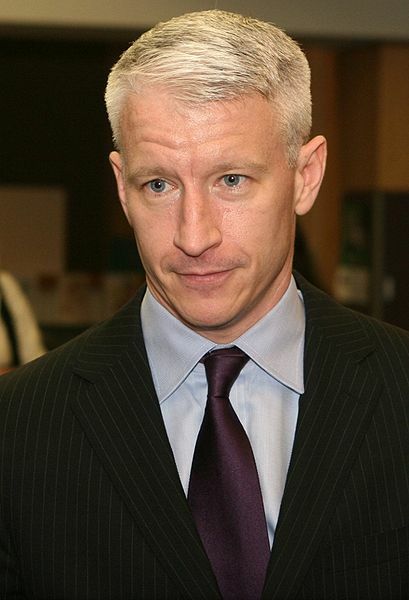 I have to say Anderson is my favorite of all news anchors. He is trustworthy, I believe him when he says something.